TyDaniel Haller, center, is the recipient of the first annual Credit Card Memorial Scholarship at SAU. 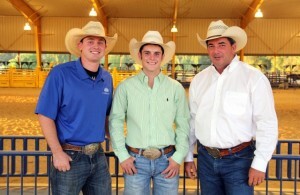 He is pictured with Shaun Smith, left, and SAU Rodeo Coach Rusty Hayes. The first recipient of the Credit Card Memorial Scholarship at Southern Arkansas University is fittingly a calf roper – TyDaniel Haller. Haller, a junior from Corydon, In., is majoring in Agriculture Business at SAU. Last season, Haller won the long-go in calf roping at Missouri Valley and made the short-go in team roping at Murray State. These and other standout performances put him at the top of the SAU point earnings for the season. As the returning top point earner, this year he received the scholarship that keeps the memory alive for a dedicated horse whose tragic end touched the hearts of people from across the United States. 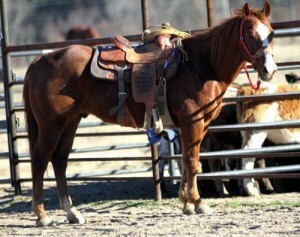 Credit Card was a 15 year-old quarter horse who carried Shaun Smith as the duo competed in calf-roping rodeo events. 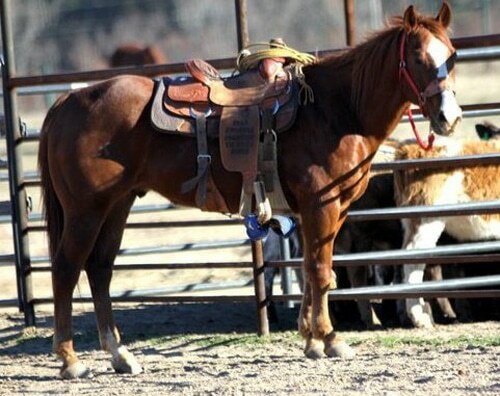 In 2011, only days before Smith left to participate on CMT’s hit television show “Sweet Home Alabama,” Credit Card was stolen in a raid at the SAU Mulerider Stables. Smith learned while taping the show that Credit Card had been killed. Smith was on hand recently at the new SAU Story Arena as the rodeo team gathered for this season’s team photo shoot. He flashed his signature smile and borrowed a cowboy hat to pose in a photo with Haller and SAU Rodeo Coach Rusty Hayes. Smith graduated from SAU in the fall of 2012 from the College of Business with a marketing degree. He is now an insurance agent for Farmers’ Insurance at Orr Insurance Agency in Hope, Ark. When the Credit Card Memorial Scholarship Endowment was established, word quickly spread across the U.S., according to the SAU Foundation. 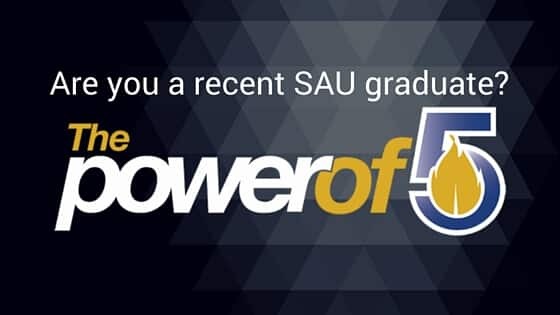 For more information on how to invest in this or other scholarships at SAU, contact the SAU Foundation at 870-235-4078 or visit www.SAUFoundation.org.